As a person goes through this group they will be able to identify what the Bible has to say about handling grief. To grieve is human; how to grieve Christianly is supernatural. It requires us to invite the Holy Spirit to guide us through the grieving process. 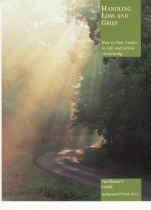 This booklet also provides guidance in the use of Scripture to help the grieving. 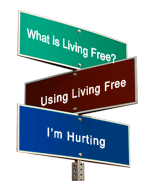 It offers biblical coping methods for facing loss of a loved-one or a friend and comfort to those who have faced loss. 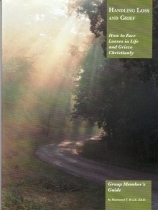 This guide primarily provides assistance to those who have suffered loss through death, but also provides help for anyone ministering to those experiencing a "little death" in life: divorce, loss of job, etc.